OCEANSIDE — In the city’s effort to find new ways to save money, Oceanside is looking into outsourcing its harbor operations to a private marina operator. Harbor and Beaches director Frank Quan first brought up the topic at the Harbor Advisory Committee’s April meeting, saying he has been asked by city officials to send out a request to private marina operators to see if outsourcing the municipally run harbor’s marina operations would save the city money. Over the past year, the Oceanside City Council has directed city staff members to look into the possibilities of outsourcing many operations, including the city’s libraries, street sweeping, the solid waste division, fleet management, parking enforcement and the harbor. “The city’s trying to cut down on their (expenditures), and they want to see if running these functions using city staff is cheaper or if outsourcing it to private companies is cheaper and more cost-effective,” Quan said. A meeting for companies interested in running the harbor’s marina operations was held Sept. 12, with representatives from Almar Pacific, California Yacht Marina, Marinas International, Dana Point Marina Co., Harbor Island West Marinas and Pacific Marina Development attending. “They were all given a master key to the facilities and will be allowed to bring their maintenance staff down to the harbor and really go through it with a fine-tooth comb,” Quan said. It has not yet been determined whether outsourcing will save the city money, but Quan expects to have a better assessment of what the cost of private operations would be for Oceanside once the companies submit their proposals — by the Oct. 15 deadline. For fiscal year 2012, the harbor is expected to generate $6.3 million in revenue, with costs expected to reach $6.2 million — including harbor administrative costs ($725,000), harbor and beach maintenance ($2.2 million), harbor police ($1.9 million) and capital improvement projects ($1.4 million). Of the harbor and beach maintenance portion, Quan said 16.5 percent of the $2.2 million budget is beach area maintenance, which the private operators will not incur. Water quality monitoring costs will also be left out of the proposal, with the city continuing to manage that part of the operation. 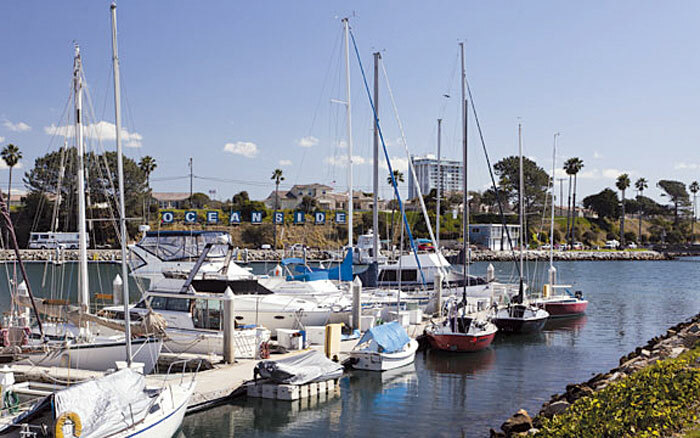 If a private company took over Oceanside Harbor, it would be required to manage and maintain the existing boat slips and portions of the eight boater service buildings, the public restrooms, parking lots and a portion of the landscaping in the harbor. Firms must have a minimum of 10 years’ experience in operation and management of a marina of at least 500-plus slips. Once the proposals are in, Quan will review them and interview interested companies before taking the proposals to the city council. With Oceanside’s $3-per-foot slip fee increases approved by the city council last year, many boaters have questioned why plans for outsourcing harbor operations were not introduced then, to avoid the slip tenant fee increases that were said to be needed to meet the increasing harbor operation costs. Others, including Harbor Advisory Committee member Les George, are wondering why a feasibility study wasn’t conducted before the outsourcing proposal was sent out. “This may not even be feasible, but now we have spent $9,000-plus dollars to prepare another Request for Proposals,” George said. George said he is also concerned that adding another layer of management between the city and the slip tenants will mean adding more costs for boaters to cover. Quan noted that the harbor department has been looking at ways to save administrative costs for some time, choosing not to fill maintenance positions left vacant by retiring employees. Currently, the harbor operations staff includes 16 staff members who could be affected by the outsourcing proposal. “I don’t know if any of the employees working for this division will be affected, or if they are going to work somewhere else in the city — and we’re not wasting time on it until they get closer to contracting another operator,” Quan said. As far as the city’s other outsourcing plans, the city council rejected the privatizing of the city’s street sweeping fleet in a 3-2 vote Sept. 19, and talks on outsourcing library operations have also stalled.